“As you already may or may not know, @spocom has finally reached the Southeast. Now in their 11th year of producing the highest quality events, they felt it was time to reach out to the Southeast. SPOCOM is traditionally known to bring out the best of the best at each event. However, not everyone has the desire to compete, but yet we all still wanna participate in the event. Welcome… Peachy Meet! 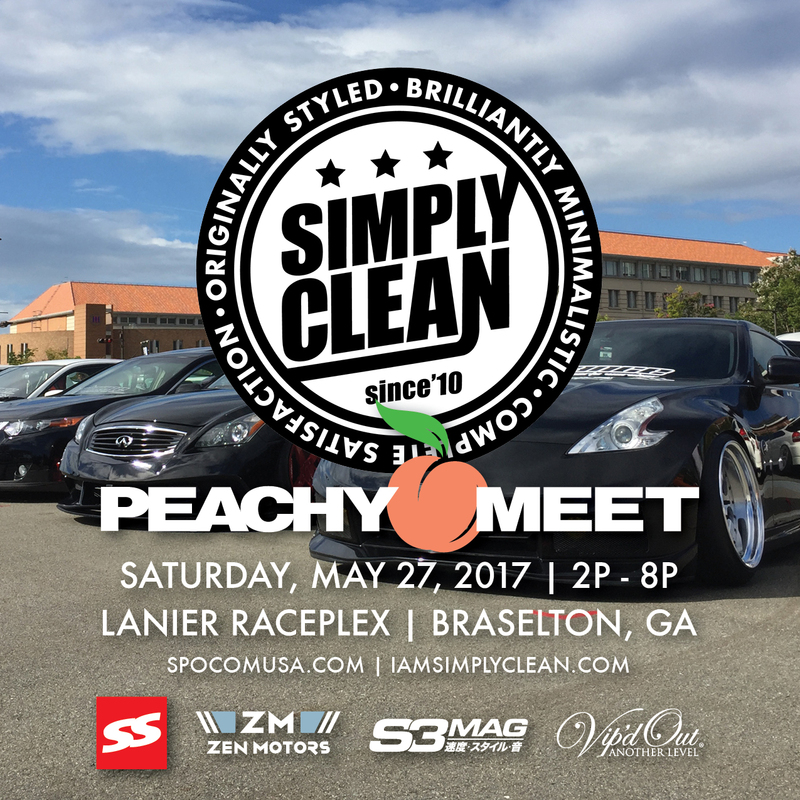 Yes, SPOCOM has teamed up with Simply Clean to host the first annual Peachy Meet at Lanier Raceplex on Saturday, May 27. Added to their action packed day of Motul USA SPOCOM Car Show, Maxxis Tire X The Drift Group Tandem Drift Competition and SPOCOM Model Lounge, comes the Simply Clean Peachy Meet.